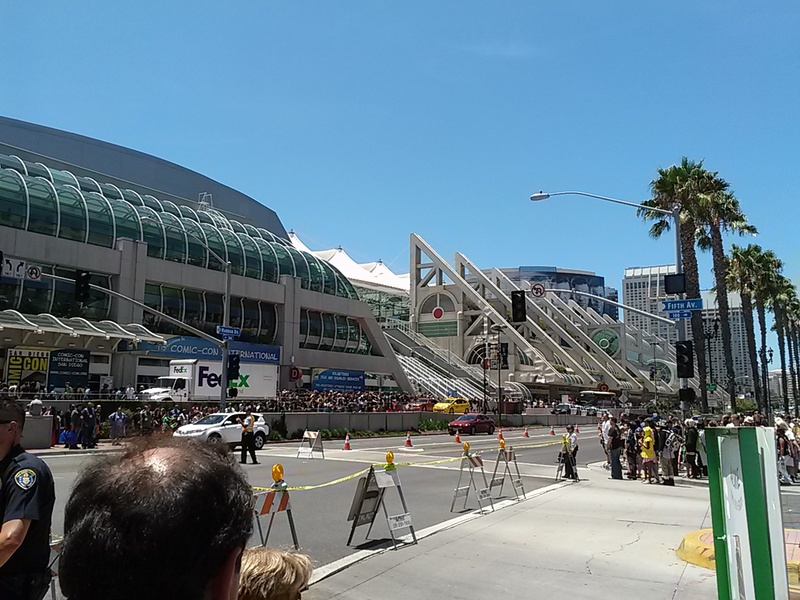 It’s SAN DIEGO Comic Con For a Reason…So Please Stay Here! This week the outlook for San Diego Comic Con staying in San Diego past 2016 became a bit murky. The plan was to use a hotel tax to help pay for the Convention Center expansion. But that measure was struck down in the appeals courts, and the City Council has no plan to appeal it. That means that the expansion’s future is up in the air, and without the expansion, San Diego Comic Con’s ability to stay in San Diego may be in jeopardy. Here in San Diego, there are proposals all over the place for new stadiums for the Chargers, tearing down the iconic San Diego Sports Arena (if you saw the movie Almost Famous, then you know about he Sports Arena; not only that, but that’s where my parents saw Elvis and the Rolling Stones back in the day), and reconfiguring Balboa Park ahead of the 2015 centennial celebration. The thing most people don’t know about San Diego is that after a tumultuous decade or two of pension crises and irresponsible political doings by politicians with strange agendas, getting major plans together is harder than it should be. That said, the expansion of the Convention Center makes a lot more sense than building a stadium that is used for a few events each year as opposed to a larger convention center that brings millions of dollars to the city on a regular basis. It’s also important to note SDCC’s origins in San Diego. If Los Angeles wants a major con, then make one. (As long as it isn’t called “comic con” you’re ok…right, Salt Lake City??) Comic Con should stay in San Diego because it was born here. It wasn’t until the movie studios came down from LA that the lines got longer and panels filled up to the brim. Frankly, I think that there is enough interest and enough capacity to have a major con in San Diego, LA, and Las Vegas. Would that be a bad thing? I say no, not at all.